You'll hear colors & see sounds. Just kidding! But M-Edge tablet cases are designed to showcase your unique style and attitude. 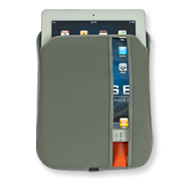 Regardless of what size or shape your tablet may be, we have a case that protects your goods (that's what she said). One last thing before you scroll down. Our cases and sleeves are built to last, with lightweight coverage and heavyweight protection. 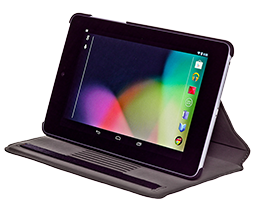 We've got you covered for any Android tablet: Samsung Galaxy, Google Nexus, Acer, and more. Whichever tablet you have, we've got a case to match. 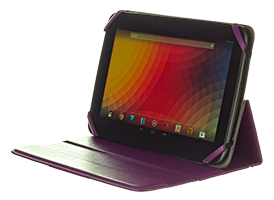 Check out our Nexus 7 cases, Samsung Galaxy cases, and more. Easy access & low maintenance--perfect for "naked" tablet use. 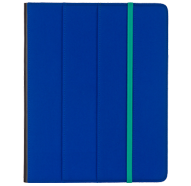 Nook Tablet or Nexus 7 sleeves, we've got them all. 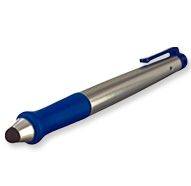 Show your tablet some love and improve writing accuracy with our Stylus or SuperStylus.